Betty Russell, who was born and raised in Alaska, has been going to Arctic Man in the Hoo Doo Mountains near Paxson for as long as she can remember. “There is always a big group of us that go every year,” she said. 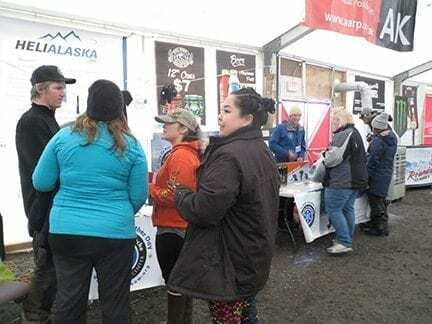 This year, when she and her husband made a stop in the main tent, they were greeted with the Alaska Avalanche Information Center’s Arctic Man Pea Pod Poker Challenge. “We’d heard about this game from some people in our group but we didn’t really know what it was or decide to play it until we saw it operating in the bar,” said Russell. And so she and her husband Danny took the challenge and started on the ‘five card’ discovery path. “What I really liked the best were all the ‘instructors’ giving the classes (card challenges.) These guys all made you feel welcome and were excited to share. They had great information and you could tell they were passionate about this stuff. It was awesome,” Russell said. There are both indoor and outdoor in the snow versions of the game. Sobek, along with Trevor Grams, an intern instructor from Fairbanks, and David Parr, Sterling Storm and Larry White, volunteer guest instructors, all agreed this was an entertaining, successful way to educate people that made it easy and a good time for everyone. 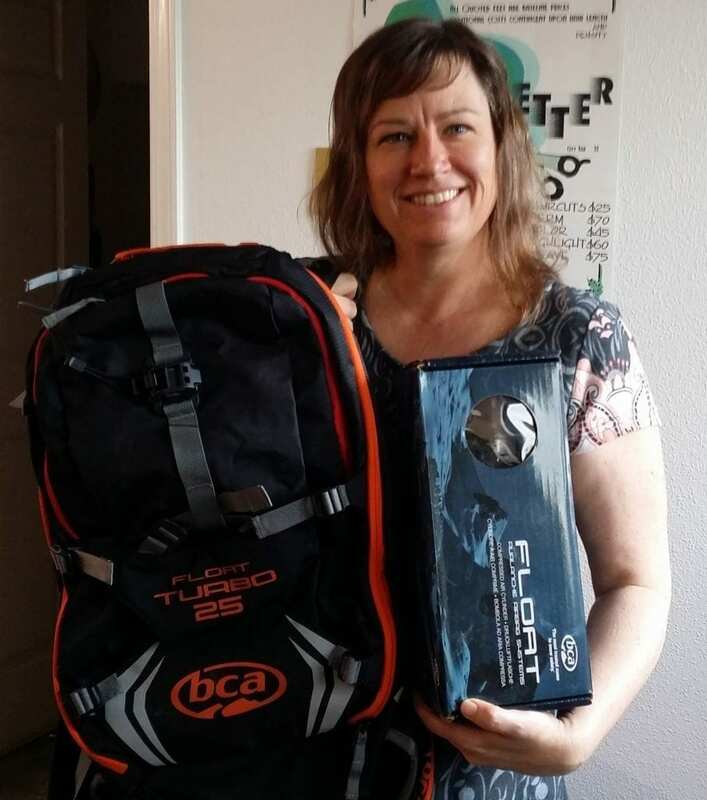 Russell scored 157 points by visiting the five skill stations, the highest of all 159 entries received, earning her a Back Country Access (BCA) Float Air pack. Terry Hull of Anchorage, who scored the lowest with a 39, walked away with a BCA Tracker 3 avalanche transceiver. Everyone who played the game and was present for the awards presentation on Saturday evening also scored prizes from BCA, Smartwool, Karakoma, Black Diamond and Team CC of Wasilla. AARP Alaska and the Alaska Department of Public Safety, Alaska State Troopers, made this ‘training’ game possible thanks to their financial support. Look for more programs like this coming to a community near you at www.alaskasnow.org or email info@alaskasnow.org and request a program for your school, club or community. Outdoor version of the Poker Challenge where players dig in the snow and pull snowmachines with a pulley system. Dave Narona. 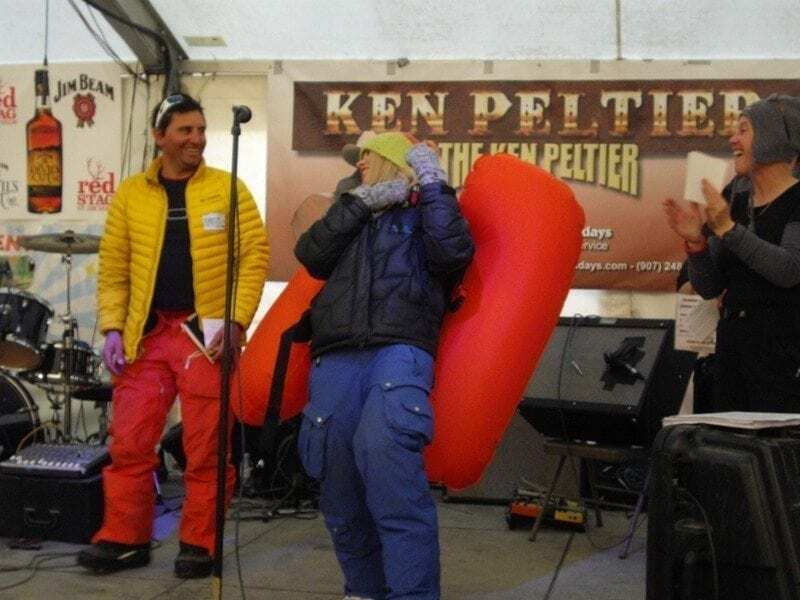 ABS Airbag representatives, awards an Arctic Man Game winner with a new airbag. Take the Pea Pod challenge at Arctic Man 2018 for your chance to win. 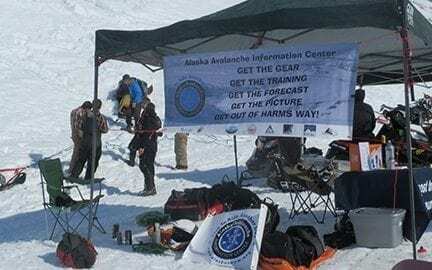 The Alaska Avalanche Information Center will be back at Arctic Man bringing forecast information and educational training opportunities. Thanks to support from AARP Alaska and the Alaska Department of Public Safety, the AAIC instructors will be on hand conducting and issuing forecasts and offering backcountry skills workshops that include a wide range of hands-on activities to fit every skill level and interest. Play five-card stud poker for your chance to win and learn. This is not your typical poker run. Players will travel to five stations to learn and practice safe backcountry skills in exchange for a random number. 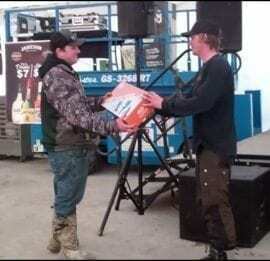 The player with the highest hand will split the cash pot and be entered to win a variety of prizes contributed by sponsors including Klim, Team CC, Black Diamond, Eagle River Polaris Arctic Cat, Anchorage House of Yamaha, Alaska Mining and Diving Supply… More prizes being added daily. 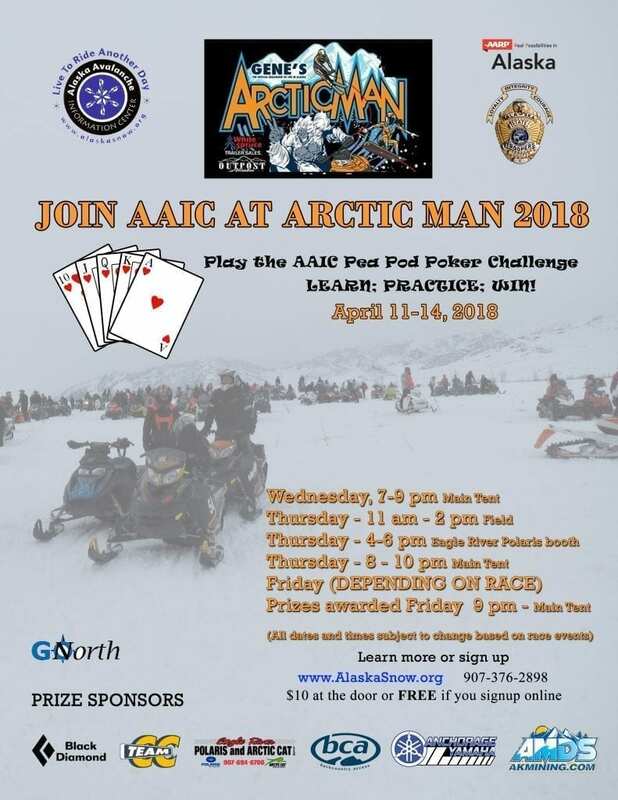 If you register to play the Arctic Man Pea Pod Poker Challenge in advance at www.alaskasnow.org you can exchange your registration for a poker chip redeemable for your game card plus be automatically entered to win the grand prize package. Anyone can play the game but you must register online to qualify to play for free and be entered to win the grand prize. Bring your family, friends and adventure partners and make your backcountry travel experiences fun and safe. Register to play for free here! Registration is valid for ALL workshops.